The Morris Residences is a worthwhile investment considering it is a freehold and landed property in a prime district and in a neighborhood that has landed properties. In Singapore, landed properties are in high demand due to their limited supply and the fact that they are better than other properties such as condominiums. It also has many amenities and leisure places nearby as well as good connectivity with various means of transport. Furthermore, this development's location is near Serangoon MRT station and a mega shopping mall, NEX. Here's a price comparison of District 19 landed developments which include One Surin and Charlton 27. 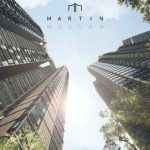 View the Morris Residences floor plans to find a suitable layout and register early to view the beautiful showflat.